“The current global context of unchecked authoritarianism as well as the rise of populism, of corporate power and of fundamentalist groups are contributing towards closing the space for civil society. This is being done through the enactment of laws and practices that effectively impede human rights work, including the misapplication of certain laws such as counter-terrorism and public assembly laws. 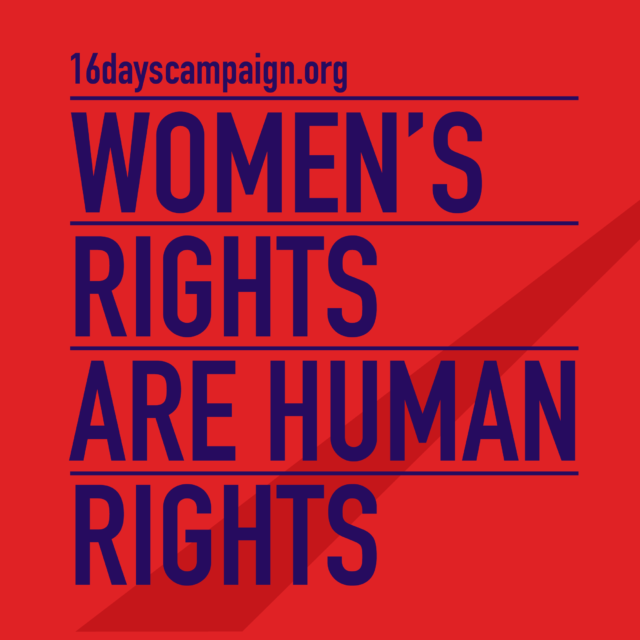 In this context, women human rights defenders face additional barriers of economic and structural discrimination and unique challenges driven by deep-rooted discrimination against women and stereotypes entrenched in patriarchal societies related to gender and sexuality. In addition to the risks of threats, attacks and violence faced by all human rights defenders, women human rights defenders are exposed to specific risks such as sexual violence, defamation, intimidation, including against their family members, in order to deter them from continuing their valuable work. In 2017, Front Line Defenders recorded the killings of 44 women human rights defenders, an increase from 40 in 2016 and 30 in 2015. Those working on rights contested by fundamentalist groups such as women’s sexual and reproductive health and rights and those denouncing the actions of extractive industries and businesses that often leads to the violation of the rights of specific groups, i.e. indigenous people, racial and ethnic minorities, and rural and other marginalised communities, become at heightened risk of attacks and violence. Women human rights defenders also face particular threats in conflict and post-conflict situations. Situations of armed conflict, and the subsequent break down of the rule of law, create a dangerous environment for women and girls. Women human rights defenders are pivotal in promoting sustainable peace, yet they are constantly excluded from peace processes and politics, often criminalised, and they experience gender-based violence, which hampers their participation in decision-making processes. Women human rights defenders often face abuses perpetrated by non-State actors including members of their own family, community and faith-based groups, non-State armed groups, private security agencies, corporations, organised crime. Women human rights defenders make essential contributions to the effective promotion, protection and realization of international human rights law and play an important role in raising awareness and mobilizing civil society in identifying human rights violations and in contributing to the development of genuine solutions that incorporate a gender perspective. Women human rights defenders lead movements that have swept the globe calling for gender equality and an end to gender-based violence against women. They have flooded the streets, the airwaves, and the internet with their energy and their testimonials, bringing to light truths that are too often buried in darkness. They are making immeasurable contributions to the advancement of human rights all over the world. They are raising their voices, frequently at great personal risk, to stand up for human rights and justice for all. Often these women are at the forefront of challenging social and cultural norms that limit women’s human rights. They take stands that are necessary to progress but unpopular, taking on the most powerful and providing support for the most vulnerable. due diligence of States in protecting women human rights defenders that are threatened by non-state actors. The Special Rapporteurs, Independent Experts and Working Groups are part of what is known as the Special Procedures of the Human Rights Council. Special Procedures, the largest body of independent experts in the UN Human Rights system, is the general name of the Council’s independent fact-finding and monitoring mechanisms that address either specific country situations or thematic issues in all parts of the world. Special Procedures experts work on a voluntary basis; they are not UN staff and do not receive a salary for their work. They are independent from any government or organisation and serve in their individual capacity. The Committee on the Elimination of Discrimination against Women monitors States parties’ adherence to the Convention on the Elimination of All Forms of Discrimination against Women, which to date has 189 States parties. The Committee is made up of 23 members who are independent human rights experts drawn from around the world, who serve in their personal capacity and not as representatives of States parties. The Committee’s concluding observations are an independent assessment of States’ compliance with their human rights obligations under the treaty.